I made this page for my readers, which includes a list of recommended products or services that I have used personally or reviewed. I believe the products and services that I listed below, provide different benefits and advantages for the different needs mothers face today. Disclosure: There are some affiliate links on this page, which provide me a small commission for purchases, at no extra cost to you. I only use affiliate products and services I have reviewed or personally used myself. I will only post affiliate products and services I like and recommend. When I started my blog, a very successful mom blogger recommended I use SiteGround for my web hosting. Since I’ve been using SiteGround, I’ve had a completely positive experience with them. They provide managed WordPress hosting for my plan, which allows me to manage the content on my website. I previously had a hobby website through another company, which I felt provided a mediocre experience. However, SiteGround has exceeded all my expectations. First and most importantly, site speed is very important to me and my site has been consistently fast with Site Ground (which was not the case with my previous hobby site at another hosting company). I also appreciate that they include a weekly scan of my site to test for any detected malware. 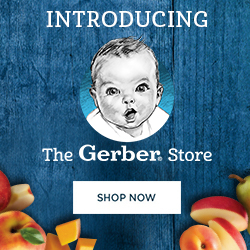 I’m going off personal experience with my child and the children of my friends, but I recommend Gerber pureed baby food when you start introducing solid foods to your baby. They have a variety of pureed fruits and vegetables available so your baby can taste different things. They also have organic versions if you prefer to feed your baby organic ingredients. I also have found their products to be affordable, which helps! There have been several studies done, which suggest that meditation can have benefits for reducing stress, anxiety, and depression. I also have experienced the benefits of meditation on managing my stress as a working mother. Check out my blog post on meditation for stress management or this online meditation program I’ve been using that I’ve found extremely helpful in reducing stress levels. Sometimes we need someone to talk to someone when we get stressed out, anxious, or depressed As moms, we get so busy and might not always have the option to go to a therapist’s office. Online therapy can be an option if we get really busy or want the convenience to do therapy online. You can check out this online therapy program for more information.